The 9th Puchon International Student Animation Festival comes to an end today. I was able to make it two of the days. In case you couldn't go, here is just a small fraction of what you missed. 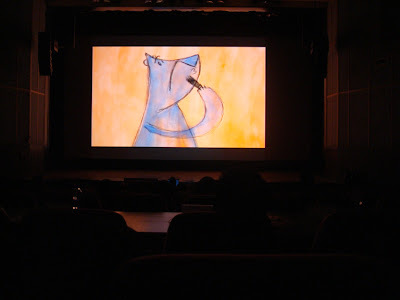 There were hours and hours of screenings of student films and animated films from all around the world. The student films were a good way to get a sneak peak at some of the future leaders in animation. Also, it's a good way to take notes on the audience reacting to several different films. 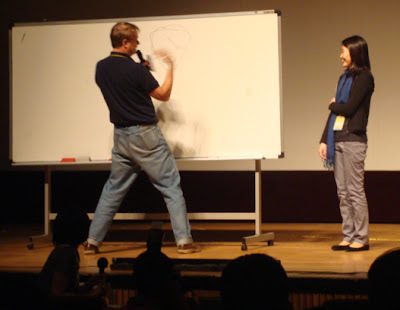 There were International special guests such as Bill Plympton, a very successful independent animated filmmaker from the United States. 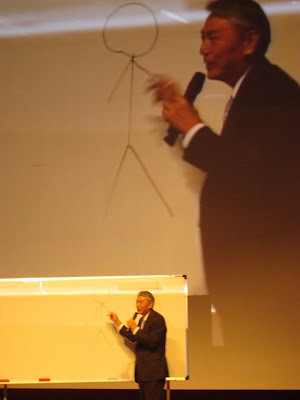 He screened many of his short films, shared short stories, gave the audience some useful tips and some drawing lessons. Afterwards, he gave everybody a Bill Plympton drawing of his popular pug character. Takayuki Matsutani, President of Tezuka Productions of Japan screened the openings to Atom (Astro Boy) throughout its various revivals as well as the short film The Legend of the Forest. All animators should watch The Legend of the Forest for a visual history lesson of animation techniques. He gave a humorous drawing lesson as well. 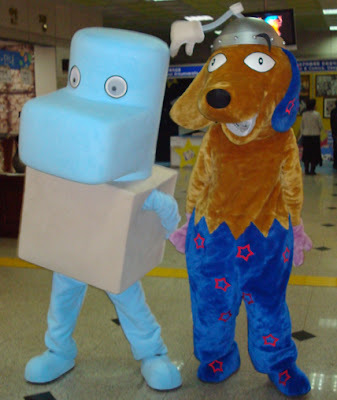 And the PISAF mascots were also on hand to make trouble. 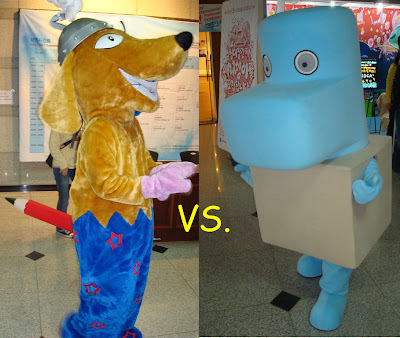 Which mascot do you prefer? This year's simple shaped creature or another year's wacky dog?